To quote James Bryce: “The worth of a book is to be measured by what you can carry away from it.” To me, the following books are wellsprings of information. In them are endless lessons on writing, life, faith, love, and everything in between. I don’t think it’s possible to outgrow or get tired of any of these books. Sylvia Plath’s “Mirror” might’ve gotten me started on poetry, but it was Rilke’s letters which brought out my passion in writing. This collection of letters from Rilke gives some of the most poignant and practical advice on becoming a writer. With every letter Rilke writes to the “young poet”, Franz Xaver Kappus, we’re also somewhat privy to the innermost musings of one of the most beloved literary figures of the 20th century. Although I started reading Plath’s poems back in high school, it would take me years before I could find a copy of her novel—The Bell Jar. I eventually found a used copy, which I bought for P280 or roughly around $6.50. I read the entire book in one sitting and started rereading it almost immediately. I believe that up to a certain point, you are who you write. In Plath’s case, this was thinly veiled in this stunning roman à clef. Names, places, and some events were changed, but there’s no arguing how Esther Greenwood’s (protagonist) spiral into madness is eerily similar to Plath’s own early depressive episodes. Plath’s an excellent writer, that’s a given. But what drew me to this particular work was her almost detached, semi-clinical description of a mind going slowly insane. Plath doesn’t tell you about Esther’s descent into madness, she shows you. A very good friend of mine lent me her copy of this book back in college. I remember being intrigued by this fictionalized account of Albert Einstein’s life. In the book, Einstein is working on his theory of relativity. He has frequent dreams where time behaves in different patterns. The book explores each dream, positing a different idea of time and delving into how it affects man and his relationships. At 179 pages long, Einstein’s Dreams should’ve been a quick read, but it still took me days to finish it. You see, I didn’t just read this book, I relished its technical perfection—I still do, actually. The incredible marriage of scientific theory and poetry, the fluidity of Lightman’s writing, and the novel’s philosophical undercurrent still gives me legit nerdgasms to this day. These days, I have my own tattered, secondhand copy of this book. I still read it from time to time, putting the book down every chapter, still a bit in awe after all these years. PS. Did I mention: Alan Lightman is ALSO a physicist and an MIT professor? Mind-boggling greatness. I’ve always been drawn to feminist literature, but it still took a while for me and Virginia Woolf to cross paths. In fact, I bought this book almost randomly. I had wanted to splurge on something of substance so I settled for a book by Woolf. I knew of Woolf, of course, but have always shied away from her works thinking I wasn’t ready for them. In the end, buying A Room of One’s Own and Three Guineas turned out to be one of the best choices I made that year. Though dated, in the sense that a lot of the feminist issues presented in both essays are no longer as prevalent as they were in the 1930s and 1940s, these essays still leave a strong impression on their readers. Woolf goes beyond discussing what was once labeled ‘taboo’, she also tackles how educational background, social stature, and financial limitations can affect an artist’s productivity and the quality of his/her art. Review: A Room of One’s Own. This was required reading for my Metaphysics class. I couldn’t find a copy of this book, so I had to borrow one from my classmate. She lent me the book for a couple of hours. A couple of hours—that’s all it took for this book to break my spirit. Don’t get me wrong. This has got to be one of the most eye-opening and masterfully written memoirs out there. But you can’t read it, I mean really read it, and come out unscathed. 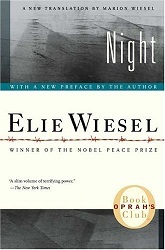 This book details Elie Wiesel’s experiences in the concentration camps of Auschwitz and Buchenwald. Although I’ve heard of the Nazi atrocities in history class and I’ve seen a documentary or two about World War II, to read about someone’s personal experiences—to give a face, a name to unimaginable suffering—it’s almost too painful to read. But it’s necessary pain, you see. You can’t begin the path to enlightenment and understanding if you can’t experience sympathy or empathy. This book has definitely changed the way I view life. Another required reading for Philosophy class. I couldn’t find this book in any of the nearby bookstores, so my professor lent me his copy. I finished the book overnight. I cried over it, and its dull ache stayed with me for days. See, in my experience, this is the type of book that leaves a lasting impact on its reader. At first, the novel’s premise seemed simple enough—a love story set in London during World War II. 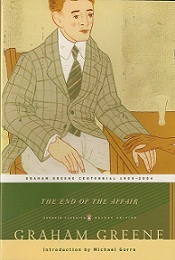 The narrator, Maurice Bendrix recounts meeting and obsessing over Sarah Miles, the wife of a civil servant. The two carry on a passionate and secret affair. But when Bendrix is almost killed by a bomb explosion in his flat, Sarah breaks off their relationship without any explanation. Bendrix spends the rest of the book trying to find out why Sarah left him. Throw in faith, fate, miracles, and God, and what you have is this masterful emotional rollercoaster that will stay with you for years. As I mentioned in my review last January, I found this book in the hospital bookstore. I think it’s brilliant marketing, really. Having this book in a hospital where 70 percent of the patients and their family members are either depressed or bored? Genius strategy. Truth be told, it’s also quite the blessing. At a time when I was angry with everyone, with everything, with God especially, it was good to have this book to offer a different perspective. In a way, this book helped restore my faith. I read “The Bell Jar” in either the 8th grade or the 9th grade. It really changed my life. Sir, your book has definitely changed my life. I try not to gush too much about it, but you speak the language of the ‘lost’ so well. 🙂 I don’t know if you’ll get this, but from the bottom of my heart, THANK YOU. Thank you for changing my life. 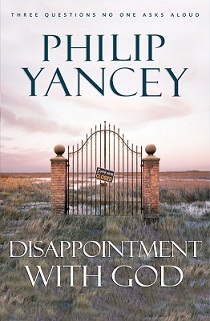 I’m also a big fan of your books Mr. Yancey and I’m really happy that you dropped by to leave your comment here. Thank you for your time and thank you for all those great books. You have no idea how our lives were changed with your writing. 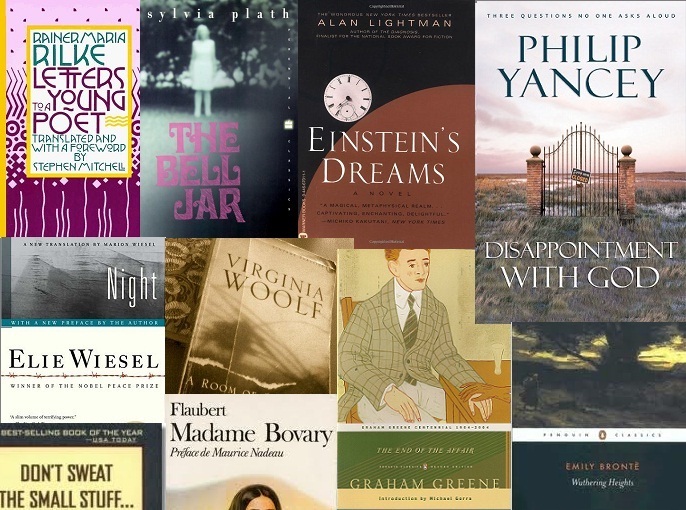 5 out of 7 isn’t bad – I mean, I also really liked 5 of the books you mentioned (and haven’t read the other two, but will do so now, on your recommendation). And your runners-up are pretty good too! Thanks for visiting my blog – delighted to swap stories with someone obviously as ‘nutty’ about books as me!